Sara Gabbard: What is the history of Lincoln Memorial University? Charles Hubbard: Lincoln Memorial University enrolled its first students in 1898. The University is located deep in the Cumberland Mountains at the approach to the historic Cumberland Gap. Retired Union Gen. Oliver Otis Howard was instrumental in founding the University. In 1896 Gen. Howard traveled to the Cumberland Gap at the invitation of his friends who operated the Harrow preparatory school for mountain children. During their conversation, Howard recalled a meeting with Abraham Lincoln in 1863 in the president’s office. At that meeting, Lincoln expressed his concern for the people of East Tennessee who had suffered for their loyalty to the Union during the war. Arthur A. Myers suggested to Howard that the mountaineers of southern Appalachia desperately needed an institution of higher education. Howard and Myers recognized the opportunity and made plans to create the institution of higher education that became Lincoln Memorial University. It was decided to enlarge the Harrow school, and Howard agreed to assist in raising the funds necessary to support future development. As the school expanded and more students arrived, there was an obvious need to expand the campus. An opportunity presented itself when the American Association, a group of British investors, declared bankruptcy for the luxury hotel they had constructed on the Tennessee side of the Cumberland Gap. After bankruptcy, the Association managed to maintain control of the property in the hotel. The hotel building was sold to a Chicago salvage company that dismantled most of the buildings and re-sold materials. The trustees of the University, with Howard’s encouragement and support, acquired a large tract of land close to the Harrogate settlement adjacent to the Virginia state line with Tennessee. Over the years, the University acquired additional property from a variety of sources until the campus grew to over 800 pristine acres of mountain land that today is the University campus. Gen. Howard played a significant role in arranging the financing and raising the funds to pay off the University’s debt associated with the acquisition. For the rest of his life Howard would organize fundraising events in major cities like Chicago, New York and Philadelphia to benefit the University. The General enlisted the services of his friend Mark Twain to act as a master of ceremonies for an annual fundraising event. For several years the annual event was held at Carnegie Hall in New York City. Some of the most notable philanthropists of the age attended the gala event. Gen. Howard was a man of deep convictions and wanted to impart to the descendants of the loyal Union people of Appalachia Christian values, hard work, education, service, and generosity. Howard associated all of these characteristics with Abraham Lincoln. To instill these values in a new generation of mountaineers would be a living Memorial to Abraham Lincoln. SG: What were the feelings of people in Eastern Tennessee regarding Abraham Lincoln and the Civil War in the 1860s? CH: Most of the people living in East Tennessee in 1860 had previously supported the Whig party because of its opposition to the Jacksonian Democrats. When the Whig party collapsed in the early 1850s, the majority of East Tennesseans were left without an obvious political home. When Abraham Lincoln ran for president in 1860, the few Republicans in East Tennessee found themselves in a minority. Most East Tennesseans voted with the rest of the state for John Bell and the Constitutional Union Party. Bell campaigned on a platform that was strongly pro-union and the belief that the Constitution was the supreme law of the land. Most East Tennesseans strongly favored the Union and the “Constitution as it is and slavery where it is.” Lincoln and the Republicans had little to offer these mountain people. After Lincoln’s election, the secessionist movement gained strength, particularly in Middle and West Tennessee. The people of upper East Tennessee were overwhelmingly opposed to secession and voted against secession on two occasions. They were not particularly impressed with Lincoln but they agreed with his strong opposition to secession. The mountaineers of upper East Tennessee for years resented the political control exercised by the wealthy, slave-owning, planter class in the state capital. After the ordinance of secession was approved, several political leaders meeting in Greenville, Tennessee, petitioned the state for permission to separate from the rest of the state and remain loyal to the Union. The petition was denied, and the petitioners were accused of treason. In July 1861 Gov. Islam Harris ordered Confederate troops into East Tennessee to maintain order and suppress Union sympathizers. Tennessee voted to join the Confederacy on June 8, 1861, despite the overwhelming loyalist sentiment in the mountainous regions of the state. In the counties north of Knoxville toward the Cumberland Gap, it is estimated that less than 20% of the people favored secession. Horace Maynard, a local politician, was elected to represent the district in the House of Representatives. Maynard went to Washington and immediately began to press President Lincoln to send troops through the Cumberland Gap to protect the loyal people from Confederate reprisals. Lincoln acknowledged the need to protect the loyalists in East Tennessee and encouraged his generals to move through the Cumberland Gap and cut the railroad north of Knoxville. During the early stages of the war, Lincoln had little appreciation for the logistical difficulties of moving a large army through the narrow gaps in the Cumberland Mountains. Unfortunately for East Tennessee Unionists, it would be the fall of 1863 before Knoxville and East Tennessee would come under the control of Union armies. SG: What are their feelings today? CH: Southern Appalachia, including East Tennessee, remained largely rural and relatively isolated from the larger metropolitan cities after the war and during Reconstruction. Since the Civil War, East Tennessee has generally supported Republican candidates for political office. Most people in the region acknowledge and appreciate Lincoln’s accomplishments of saving the Union and ending slavery. Ironically, after the Civil War and during Reconstruction popular opinion swayed toward the sentimental movement of the “Lost Cause.” Gradually over the last half-century the myth of the Lost Cause was realized and enthusiasm for it diminished. The region has opened up to development. 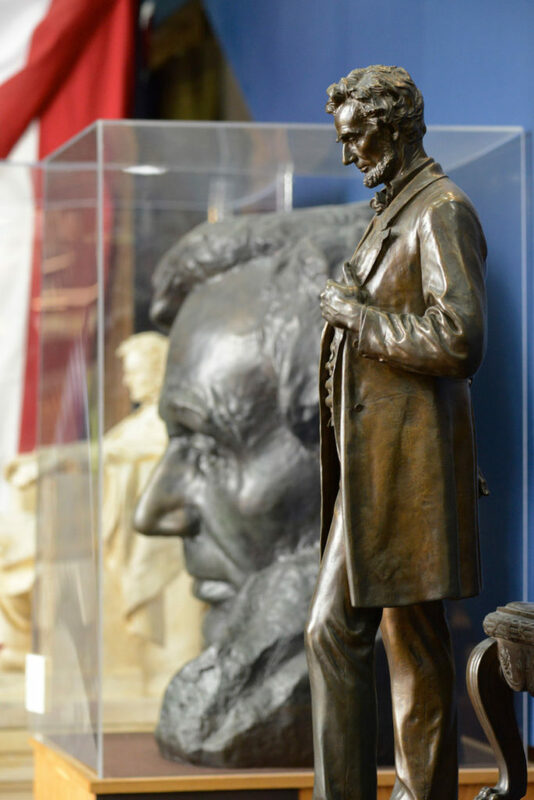 Unquestionably, improved communication and large federal programs like TVA, investment in the Oak Ridge science complex, and federal support for education have contributed to a new appreciation of Lincoln and his leadership. 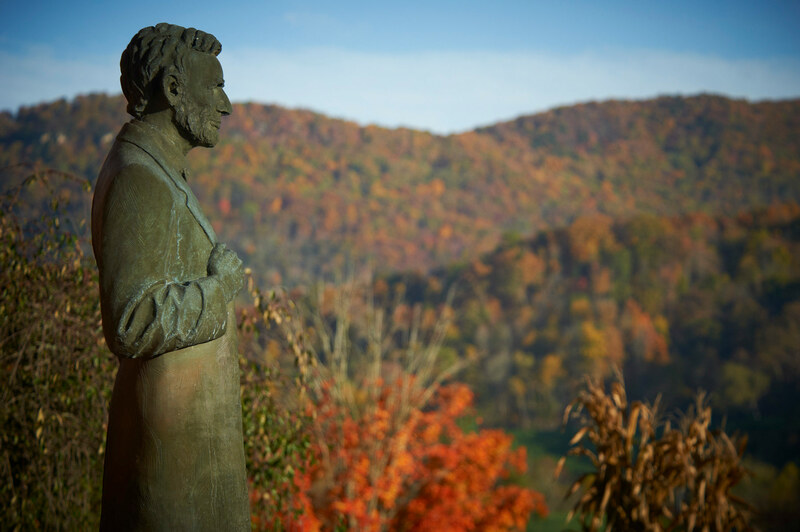 Based upon the values and principles of Abraham Lincoln, Lincoln Memorial University has done its part to educate and empower the people of southern Appalachia. Over the last 100 years LMU has provided elementary and high school teachers and administrators throughout the tri-state region. As a result, generations of the mountain people whom Lincoln and later Gen. Howard wanted to help have benefited from the Lincoln legacy of ethical and principled leadership. SG: What is the geographic background of your students today? 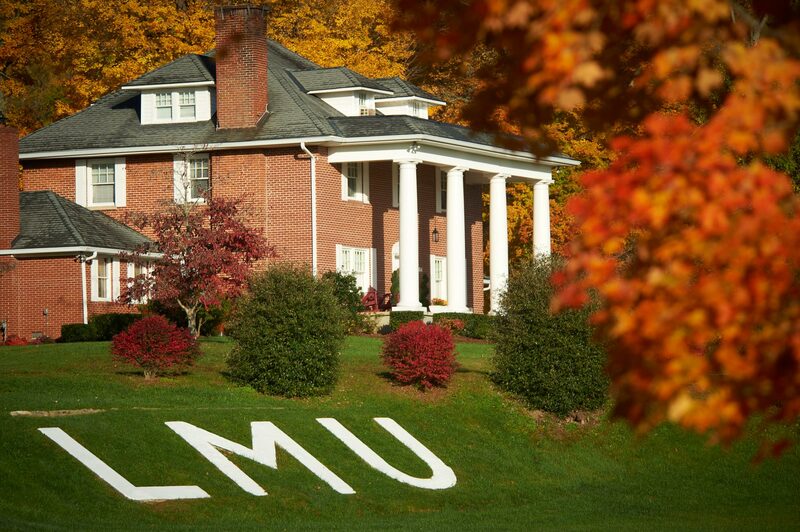 CH: Today’s LMU students come from all 50 states and several foreign countries. The student body is very diverse and the University’s undergraduate curriculum includes courses that prepare students to pursue a variety of professions. 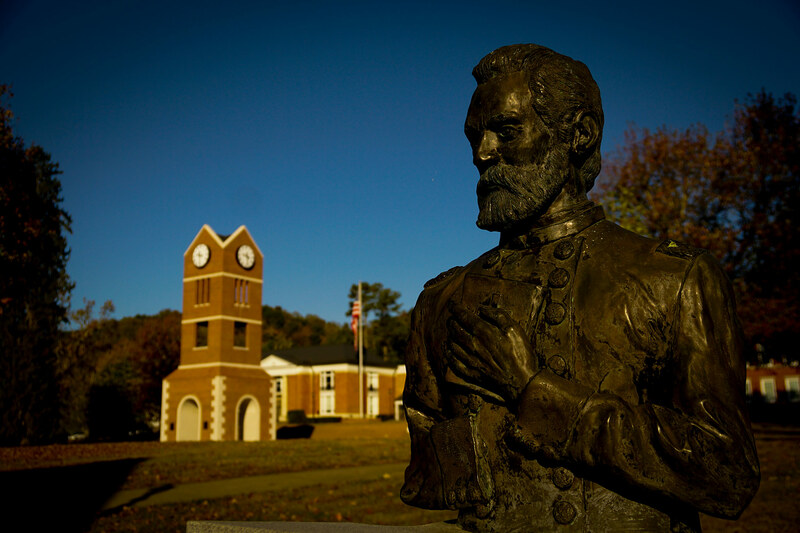 However, the University’s mission to serve the people of southern Appalachia remains the core of its vision. LMU’s medical school continues to focus attention and offers opportunities for primary care physicians to practice in the underserved regions of Southern Kentucky, Western Virginia, and East Tennessee. The University continues to emphasize instruction for professional educators in the school of education and offers advanced degrees. It attracts students from throughout the South. The University has expanded from the original campus in Harrogate to include locations in Knoxville and other extended sites. The LMU law school is located in the historic pre-Civil War City Hall building in Knoxville. It is difficult to imagine a stronger foundation for a law school then the legacy provided by Abraham Lincoln. Although our students come from across the country and around the globe, a significant number come from the geographical region that Gen. Howard and the founders intended to serve. SG: Can you make a general statement about their feelings about Lincoln and the Civil War when they begin your course and when they finish? CH: The first question I ask students when they take my Lincoln class is: What did Lincoln accomplish that made him a great president? After a period of deafening silence, they will usually respond that he freed the slaves and won the Civil War. I then go on to explain that my objective is to help them understand what these two accomplishments have contributed to the American experience. If I’m successful, they will understand that Lincoln: saved the union and American democracy; redefined the presidency; set in motion changes to the Constitution; and possibly most importantly reshaped the federal system. Another question I ask is, why do we study Lincoln? I hope that they leave my class with an understanding of Lincoln’s personal commitment to make a difference for the greater good. Lincoln is an example of a person who values education, integrity, honesty, loyalty, humility and above all self-confidence. All of these characteristics Lincoln acquired, developed, and practiced throughout his life. If our students can learn from Lincoln’s example, they will certainly contribute to a more inclusive, satisfying, and prosperous society. SG: Please tell our readers about your current book project. CH: My current book project does not focus directly on Abraham Lincoln or his presidency. The working title is, The Trail Family of Indiana: A Saga of Three Generations of African-Americans Struggling for Freedom and Equality in the 19th Century. I first came up with the idea when we discovered in our Lincoln collection 16 letters written by Sgt. Major Benjamin Trail of the 28th United States Colored Troops. These letters were written between 1863 and early 1865. It was only after the Emancipation Proclamation in 1863 that African-Americans were able to enlist in the Union Army. On several occasions, Lincoln spoke eloquently and candidly in addressing the value of African-Americans to the war effort. Very few documents, accounts, or correspondence written by African-American soldiers have surfaced. These letters are not only legible and grammatically correct, but they are extraordinarily articulate and express the personal feelings of a well-educated, free African-American. A brief preliminary investigation revealed that Benjamin Trail was killed at the Battle of the Crater in 1865. I first considered editing and publishing these letters along with any other correspondence I might be able to uncover. My early inquiries revealed a tremendous amount of material and documentation not only about Benjamin Trail, but also about his two older brothers who served in the 28th Indiana, and more particularly about Benjamin’s mother and father, William and Sarah Trail. William Trail was a slave born in Maryland and sold as a young boy to a slave owner in South Carolina. In 1814 William ran away from his masters in South Carolina and traveled to the free territory and later the state of Indiana. William was pursued by slave catchers and kidnappers the rest of his life. Despite this constant threat, William married Sarah McKown, a free African-American woman, and settled on a farm in Henry County, Indiana. There they raised a family of seven sons and two daughters and established the African-American community known as “Trails Grove.” All of the Trail children were well educated and contributed substantially to the development of a civil society in Indiana, in the hope that African-Americans would eventually be accepted as equals. I hope that this book will inform and enrich our understanding of African-American history and its contributions to the overall American experience. Certainly, this book will provide opportunities for future research into the experiences of free African-Americans during the Civil War and Reconstruction decades. Of course, without Lincoln’s Emancipation Proclamation and his determination to pass the Thirteenth Amendment eliminating slavery, the Trail story would certainly be different. SG: What is the greatest challenge today for those who are dedicated to the preservation of the legacy of Abraham Lincoln? CH: I think the greatest challenge that confronts Lincoln scholars and enthusiasts going forward is the same frustrating difficulty as in interesting students in liberal arts education. I believe there are wonderful opportunities to explore Lincoln’s contributions to the emerging discipline of leadership theory and practice. Much more work is needed to relate and connect Lincoln’s presidency with the battlefield realities of the war. The ebb and flow of public opinion, both in the loyal states and the rebellious states, provide interesting opportunities. The challenge, of course, is first to identify and convince students to study history and the related fields of the social sciences. 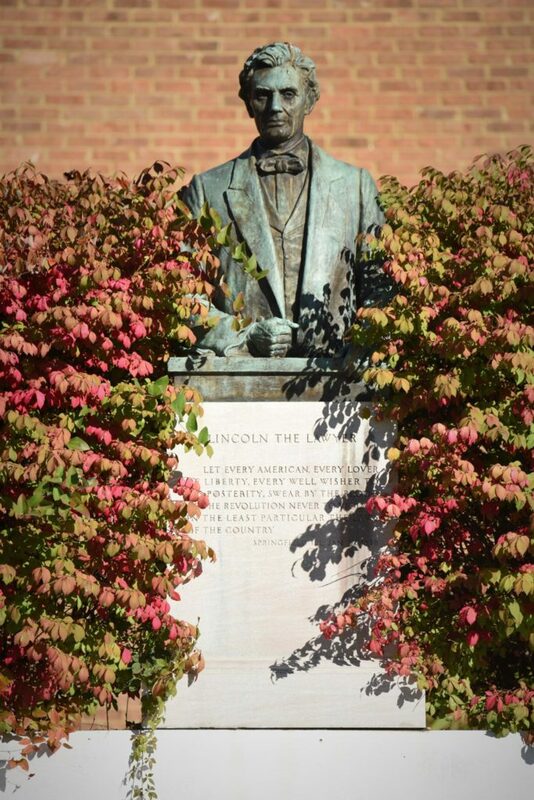 For those with a passion to understand and interpret the past for the benefit of contemporary society, Lincoln will always be a place to begin. Understandably, the students pursuing higher education today are seeking specific professional training. It is often difficult to convince them that the creation of both ideas and critical thinking are necessary components of one’s education. The overwhelming amount of information currently available because of advances in technology tends to limit the enjoyment of discovery. I often find people most interested in Lincoln, American history, and civil society are those who have achieved their professional goals and now realize the importance of enriching their lives through the study of the past and its relevance to contemporary society. I think the challenge for the future is to create an environment for the pursuit of liberal education that is accommodating and inclusive. SG: As a professor, author, and historian, do you see a chance for new emphasis on the Liberal Arts as schools at all level focus on STEM courses? CH: I absolutely do. The liberal arts are often overlooked in today’s academic climate that emphasizes the hard sciences and STEM. In recent conversations with several medical school faculty members who serve on the admissions committee here at Lincoln Memorial University, I discovered that 20% of the 2017 freshman class had decided to major in the humanities as undergraduates. Students pursuing a “professional path” and expecting to further their professional training at the post graduate level benefit from a liberal education. The skills that contribute to developing entrepreneurial instincts and innovation are at the core of the liberal arts. The ability to synthesize complex ideas and analyze multi-dimensional data complements technical competence by building connections and stimulating creativity. Students learn to write, communicate effectively, and think critically. All of these skills are necessary to be successful at the highest level in any number of professions. The professional path begins at the undergraduate level. University advisors and student mentors should continue to emphasize a balanced general education curriculum that prepares students for advanced training. In the age of robots and artificial intelligence, future generations will still require social connectivity to lead and embrace positive change. Charles Hubbard is professor of history and Lincoln Historian at Lincoln Memorial University. For twelve years he served as Director of the University’s Abraham Lincoln Library and Museum. He is the author and/or editor of six books, including Lincoln Reshapes the Presidency and Lincoln, the Constitution, and Presidential Leadership.